Collette Roy is a teacher in Canada. She is tired of working in the city, so she finds a job at a school in a very small town. Her house is in the forest. 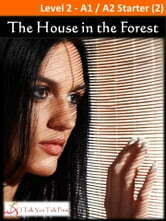 There is only one other house in the forest – an old, empty house. Soon, strange things start to happen in the forest. Is the house really empty? Is someone staying in the house? Dog Jokes: Funny Jokes for Kids! MY RIDDLE BOOK. 170 all-time riddles & jokes. The Ducks Are Too Hot! Here Comes Blackfly the Dragon! The Year of The Rat: Bruce Davison and Sondra Locke remember "Willard"